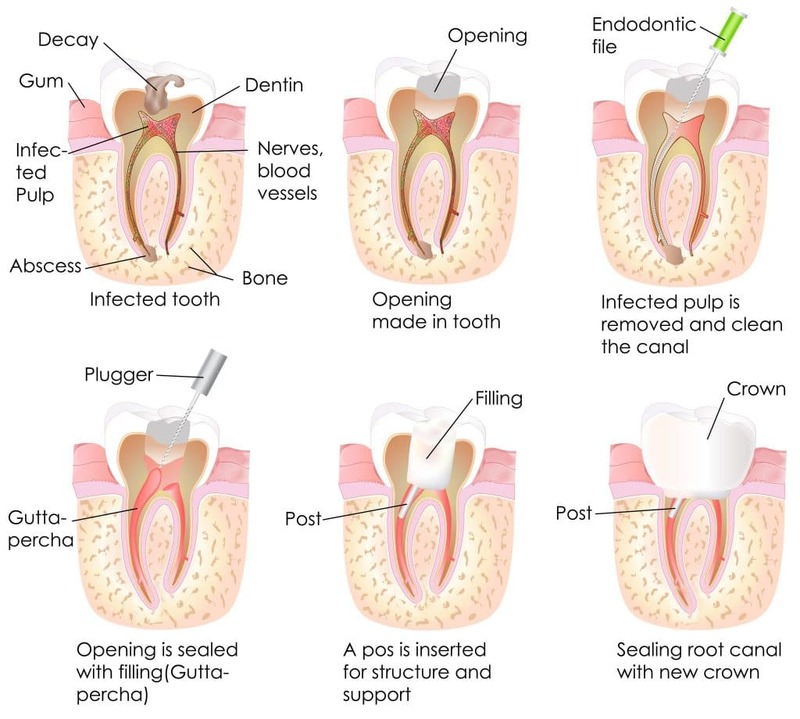 A Root Canal is a treatment used to repair and save a tooth that is badly decayed, cracked, traumatized or becomes infected. During a root canal procedure, the nerve and pulp are removed and the inside of the tooth is cleaned, disinfected and sealed. Without treatment, the tissue surrounding the tooth will become infected and abscesses may form.